Three years into receiving my monthly payout from Google Adsense through Western Union, I’ve come to a conclusion that PETNET offers the highest US Dollar to Philippine Peso exchange rate. A PETNET Western Union branch. PETNET boasts this in their flyers and posters. The difference can be as high as half a dollar! That’s around ₱500 if you are receiving $1000. 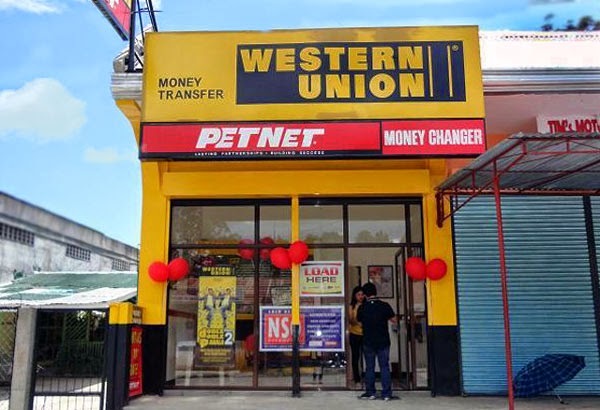 I discovered PETNET when all Western Union agents in my city were closed due to typhoon Haiyan. I had to go to another town and withdrew my money from a PETNET Western Union branch. If there’s no PETNET branch in your area, try nearby towns. You might be able to save a few hundred Pesos by being more resourceful. You may also try my second choice – eBiz. They have competitive rates but not as high as PETNET.